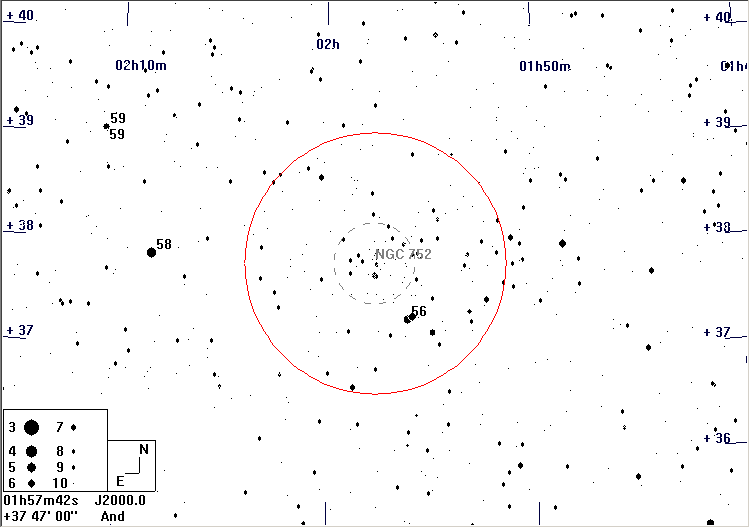 From β Tri hop 3°N to 58 And, then 2°W to NGC 752, which is just NW of the double star, 56 And. 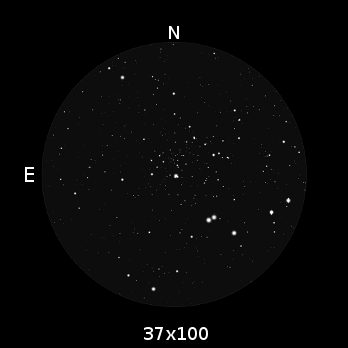 Although this cluster is visible in 10×50 binoculars, and is often included in lists for them, it is significantly better in larger instruments, hence the charts are for 10mm aperture. 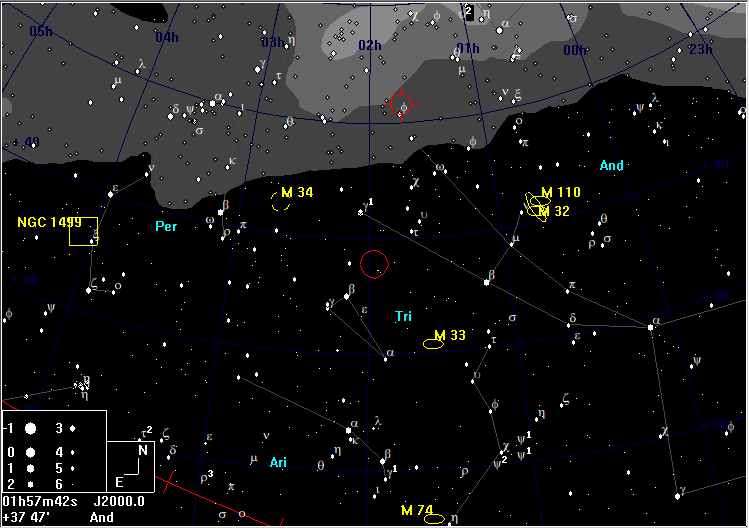 Several tens of stars (depending on sky conditions) become visible with 37×100 binoculars. 56 And, in the same field of view, is a beautiful pair of 6th magnitude deep yellow stars separated by about 3 arcmin.